Cowrie shells have been valued in countless village cultures since prehistory. In earliest times they represented the sacred feminine and were used for divination, spiritual practice and as currency. Shamanistic and celebratory costuming from Afghanistan to the Antilles have been adorned with cowries. 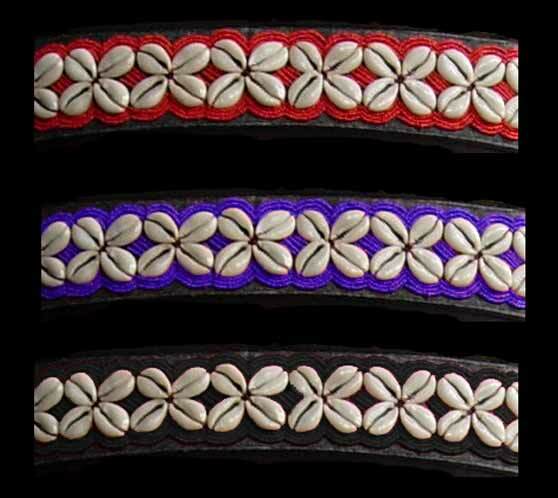 In this design hundreds of tiny seed beads outline and accentuate cowrie shells in a traditional design. Hand sewn in the villages of South East Asia. 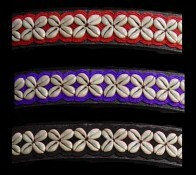 A substantial and rich belt of fine quality Finished with luxurious and responsive rayon fringe. 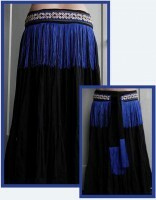 Amazing layered over a contrasting long fringe belt or alone. 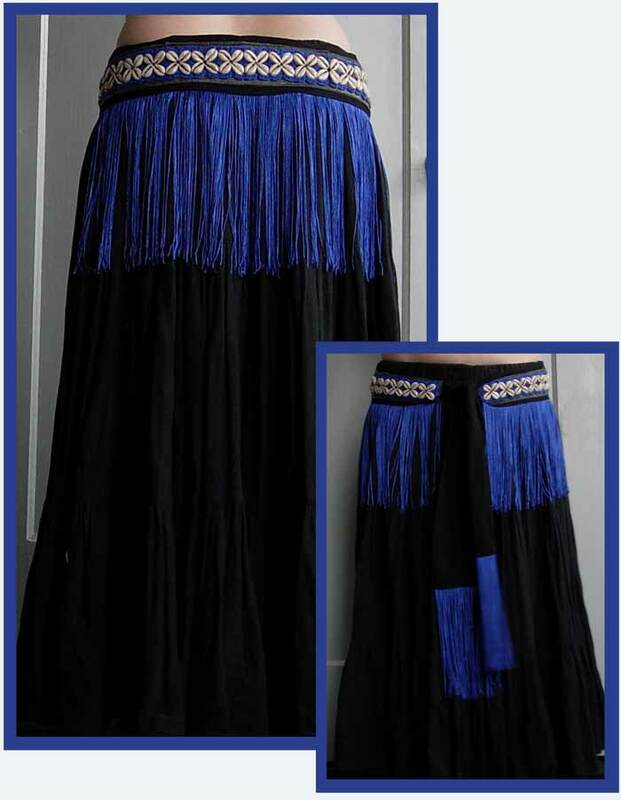 Colors: brilliant blue with matching blue fringe or ivory fringe,Carnelian Sold out, lustrous onyx black With black, or ivory fringe. Sizing: Order by hip size Small (fits 30-35 inch hips), Medium (fits 35-40 inch hips) large (fits 40-45 inch hips) and X-large (fits 45-50 inch hips).